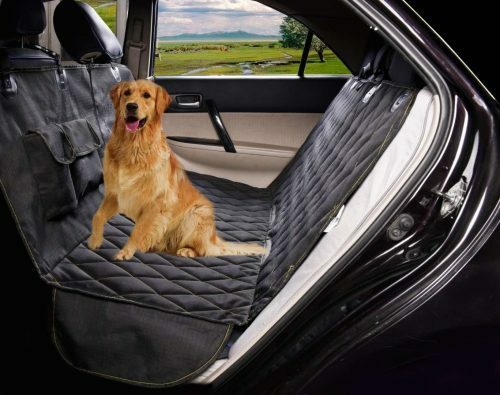 Leather seats in a car might be comfortable for us humans, but they are not as comfy for our beloved pets. Plus, who wants dog hair or dirt all over their leather seats? 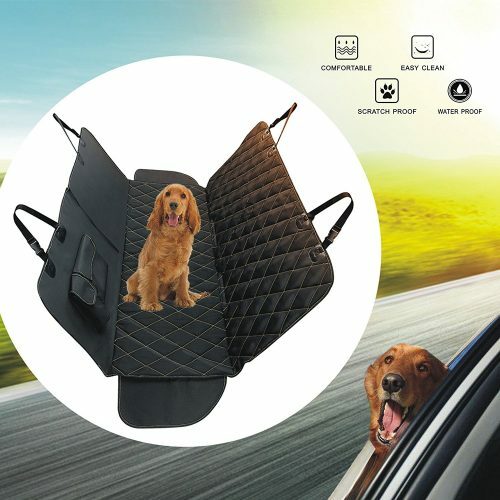 Amazon is helping you out with this scratch and water resistant car seat cover, which will protect your leather seats from hair, smell and dirt, while still be big and comfortable enough for your dog. 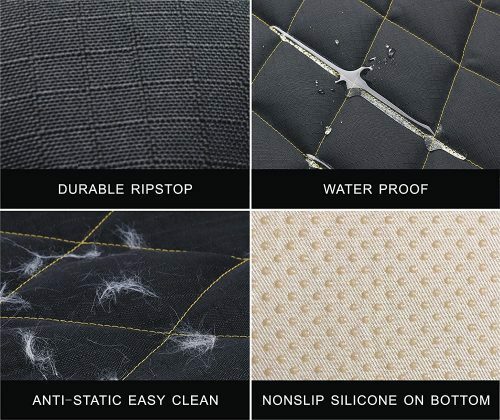 Each Cover is made of 4 layers, each of them consist of the highest materials. The size (54″ Wide x 58″ Length) allows it to be suitable for most Cars! They are easy to install and easy to clean and provide user friendly features, such as front pockets and flaps.